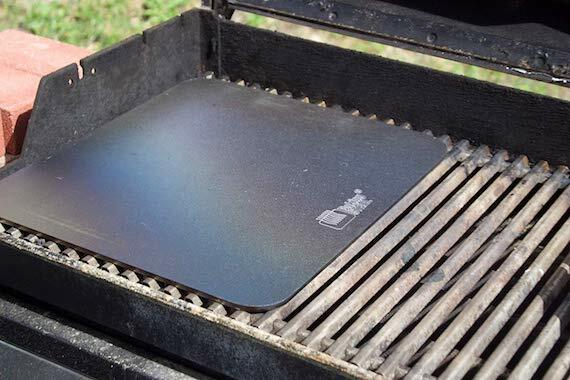 YOU ARE HERE: Homepage > Ratings, Reviews, And Buying Guides > BBQ Tools Toys And Accessory Reviews > Grill Toppers > Is A Baking Steel Better Than A Pizza Stone? Looking to refine your pizza grilling skills? The Baking Steel is an expensive slab of specially formulated steel that heats rapidly and holds heat very well. In other words it is a steel pizza stone. In our tests, it performed similar to a cordierite pizza stone, cooking the bottom of the pizza crust a bit faster than the ceramic materials. Of course, in most cases, cooking the bottom is not a problem. On a grill, the bottom tends to cook too rapidly. Steel has another advantage though: it cleans up easily without absorbing water. But it is about twice the price of refractory type material, thus our silver medal rating.